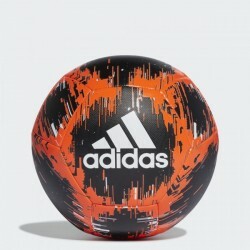 ADIDAS CAPITANO BALL IMPROVE YOUR SKILLS WITH THIS DURABLE BALL. A standout ball for fancy foo.. FINALE M CPT A DURABLE BALL HONOURING EUROPE'S TOP CLUB TOURNAMENT. Stars collide as the UEFA .. FINALE OFFICIAL MATCH BALL A BALL OF ENERGY FOR EUROPE'S TOP CLUB COMPETITION. Stars collide a..
MESSI CAPITANO BALL A TRAINING BALL WITH BIG MESSI STYLE. Master your skills with a ball displ..
UCL FINALE MADRID COMPETITION BALL A GAME-QUALITY BALL CUT OUT FOR EUROPE'S TOP CLUB TOURNAMENT. ..
UCL Mini Ball This mini ball is a small-scale replica of the full-size football that will be used..
UCL Top Glider Ball This training football has a design inspired by the official match ball of th..